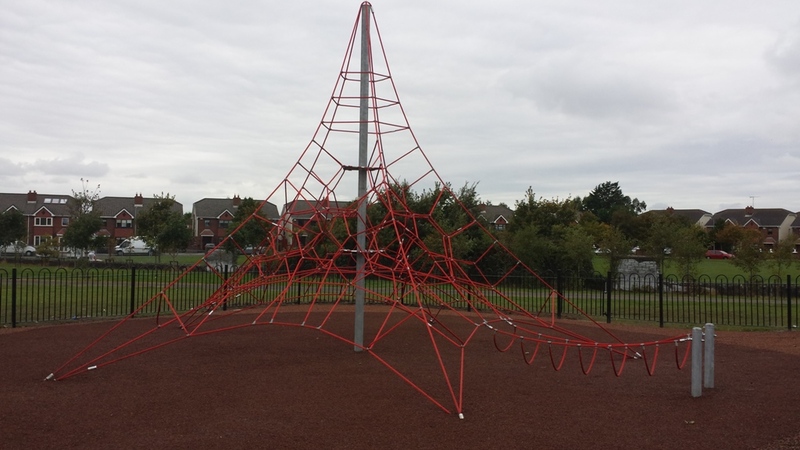 The customer specification was to install a climbing unit to cater for children of all ages, to include a boundary fence and with the appropriate safety surfacing. Taking all this into account we went with the Ponta do Pico climbing structure with a 3m loop bridge to increase the play value for users. This climbing structure introduces children to the rough and tumble of physical play within a controlled and safe environment. With endless climbing possibilities, the Ponta do Pico has a challenging summit of almost 6m and a capacity for up to 46 children. Tiger Mulch was used for the safety surfacing and also to preserve the area around the equipment. This type of surface has a woodland colour so it matches in with its surroundings but also its environmentally friendly and extremely durable. Bow top fencing with self closing gates was installed providing a high level of security and safety.